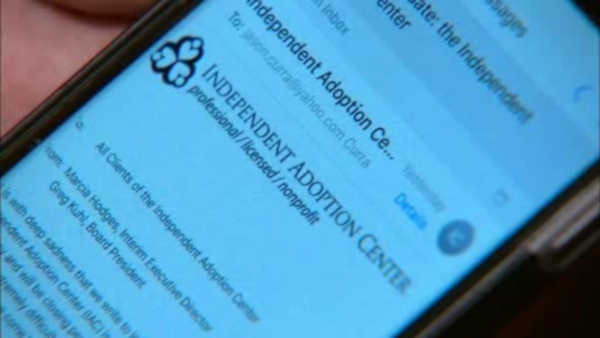 NEW YORK (WABC) -- New details are being released on what families need to do if they believe the recently-closed independent adoption center owes them money. The Independent Adoption Center (IAC) abruptly shut its doors Tuesday, declaring bankruptcy. Now, a California bankruptcy court say if you are owed money, you will receive a notice of the case filing, including instructions on how to file a proof of claim. If you need to file a claim, CLICK HERE.